The UAE has converted imports of coffee into a gold mine. The UAE’s coffee market is expected to grow by over 30 per cent in the next four years as the country’s trading hub emerges as a key supply cog in the global coffee supply chain, said a report. The country sits at the centre of a region which now accounts for eight per cent, or $6.5 billion, of the $85 billion global consumer spend on coffee and this could increase by up to a third by 2030, according to Euromonitor International. In 2014, the UAE alone spent $121 million on coffee consumption, stated the report released ahead of the 21st edition of the Gulfood expo in Dubai. The world’s largest annual food and hospitality trade show will run from February 21 to 25. 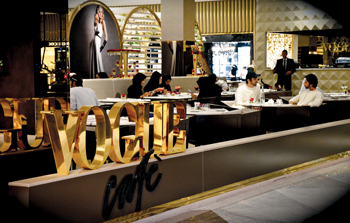 With domestic demand continuing an upward surge with over 4,000 tea and coffee houses now operating in the country and 82 per cent of the population saying they consume coffee each day, according to Zagat, the F&B online resource, the UAE is increasingly seen as both a growing consumer and re-export market for coffee beans and refined finished product. The forecast comes as no surprise to Trixie LohMirmand, senior VP for exhibitions and events management, Dubai World Trade Centre (DWTC), which is witnessing huge space demand from suppliers, traders and roasters and finished product equipment manufacturers at Gulfood. “Coffee is more than just a drink in the Middle East, it is an inherent part of the culture, a leisure pastime and business pre-requisite. Add to this the region’s rising population and the UAE’s anticipated hospitality boom in the run-up to Expo 2020 Dubai and the growth landscape is obvious,” remarked LohMirmand. “Other shifting trade patterns are now also coming into the equation with new growers, such as Angola, gaining ground and revitalisation predicted for countries such as Yemen. A scenario for evolving trade development is emerging and we expect to see more signs of it at Gulfood 2016,” he added. Of the 70 coffee producing countries worldwide, major exporters Brazil, Vietnam, Indonesia, Columbia, Ethiopia, India and Mexico will all be present at Gulfood 2016. In addition to buyer delegations from the world’s two largest traditional importers - the US and Japan – attending the show, Gulfood will welcome more than 200 specialist coffee manufacturing, trading, roasting and packaging companies from around the world. Coffee sector exhibitors range from the UAE’s Karam and other emerging markets players from the Mena region, South Asia and Africa, to household heavyweights Lavazza and Illycaffé (illy) from Italy. Global macroeconomic research firm BMI International has forecast the UAE’s current 5.7 per cent annual compound growth rate in food consumption will rise to 7.7 per cent by 2019, with total soft drinks sales rising from the current CAGR of 7.5 to 7.7 per cent and mass grocery retail (MGR) sales rising 10.1 per cent CAGR until the onset of the next decade. “All analyst indicators point to considerable business opportunities for the sector across the retail and hospitality sectors with both undergoing sizeable growth and modernisation,” stated LohMirmand. It’s against the bullish national and regional cross-sector background that DWTC anticipates this year’s Gulfood will attract 85,000-plus visitors from more than 170 countries, including international heads of state, ministers, government officials and national trade associations from five continents, he added.